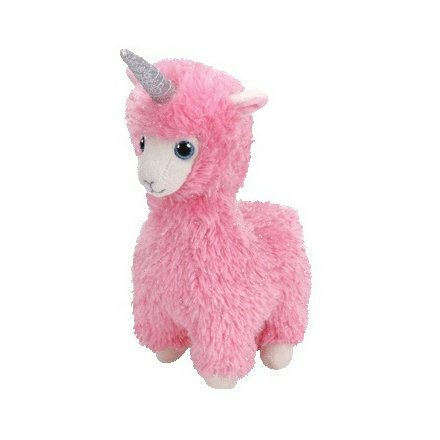 Lana is a pink fuzzy llama with a white face and white hooves. She has glittery blue button eyes and a sparkly silver horn on her head. Lana is part of the Beanie Babies range.